We’d love your help. 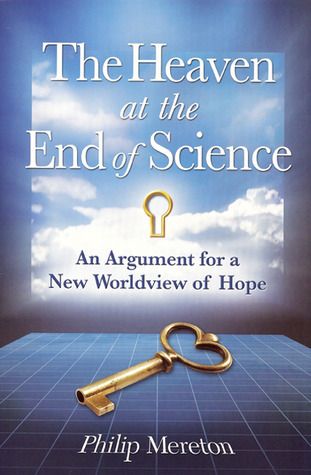 Let us know what’s wrong with this preview of The Heaven at the End of Science by Philip Mereton. To ask other readers questions about The Heaven at the End of Science, please sign up. I'm sorry....I couldn't get through it. I disagreed with everything he was saying and I just couldn't finish it. He thinks that we have all dreamed this world....yeah....I guess you can use anything to back yourself up. If anyone wants this book that actually has interest in it, I'll be more than willing to send it to you. Very hard to get through. I understood the general idea, but gave up after about 70 pages. It really seemed unnecessary to go on after the general idea was talked about, at length, but I guess the author wanted to go into even more detail about the Real Dream theory. P.S. I got the book by winning it on Goodreads First Reads. I guess I had a hard time getting past my own personal beliefs, but I didn't find the author's aurguments compelling or enlightening. In the end, I just couldn't finish this book. Just won this book this morning, so thank you very much. Really excited and can't wait to read it. Will leave a review once I have. Once again...thanks.